hrm. 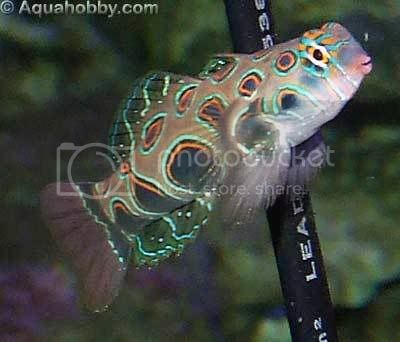 mandarins are definitely not a nano fish, they are nano sized though. i bet you could keep a mandarin in a nano, you just need a good plan. i agree with ezcompany. unless you can dedicate time every day and have the resources to add pods to the tank daily. i love my dracula goby definitely my favorite nano fish. any small goby: greenband goby, clown goby, hifin redbanded goby, firefish or catalina (providing there is a chiller). f) i haven't had one person walk past my nano tank without saying, "hey neat, a clown fish"
I also like the purple firefish, however, they are a bit reclusive.